First off, for anyone who doesn't know what PSA is, it's a program that allows people to edit character movesets. To do it, you'll need a nice home brewed cup of coffee, because it takes some time to do, it is actually fairly simple. He is also one of the only balanced characters, because it's possible to make characters with 999% attacks, and OHKO a moves. With the new version that eliminates the attacking when standing and moving, as well as the insta kill taunt, he's actually a very good character. Once I can, I'm going to be using this a bit to make some hacks. I'll post them as I come up with them. Wario Land Wario: More wrestling based moves, side B becomes the ram. Hero Link: Up B is better for recovering, has a fire effect. Arrows become fire arrows. THIS IS REALLY FRIGGIN COOL!!! I would totally hack if A. I had a copy of twilight princess(im not sure if you still need this and if i do i could borrow a friends) B. I dont know if i can with my updated wii and C. I have no idea how to do it. 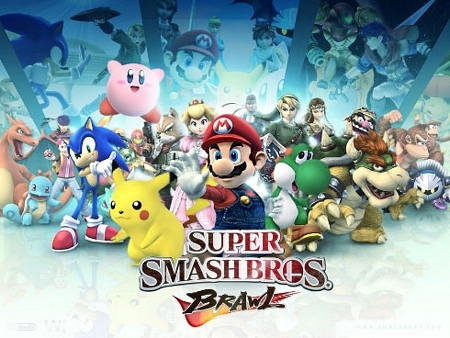 They're going to use this program (PSA) and add stuff to Brawl+. Like the return of Mewtwo. Just as a joke, they also took Ike and turned him into Ragna the Bloodedge from BlazBlue. I'm thinking if we can make a bunch of popular hack characters, we can use that as a way of advertising for the VB. Like, we use the VB youtube channel (We've had about three IIRC) we upload them there (Still giving credit to the creator) and hope for the best. And if that doesn't work out, we can kill each other with uber 1337 characters. ololo Farkun PAWNCH duz 999% insta-kill ololololo. Minby, none of us can hack. But he's a small boy. It's not really hacking. It's more copying and pasting code. Hell, Awesom_Turtwig, the guy who made Lightening Luigi and a few others, taught himself PSA. I believe wil means none of us have hacked wiis, homebrew channel, and/or usb gecko. I do I guess my bro was good for something after all. And actually, it's not that hard to hack it. Also, proof this is epic. Meet Roy. Yes, the awesome character that was for some reason excluded from SSBB. The reckless Marquess of Pherae has rejoined the Brawl. First, codes were made to change Marth's hitboxes, and a texture was put over it. But now, with Project SA, new dimensions are possible. Except model hacking. Yeah, we haven't got there yet. Minby, you have a hacked Wii? Mmkay, care to help us who have updated Wiis, and the 95% of the other Brawlers who also have updated Wiis? There is a patch for homebrew that lets it work on an updated Wii. i need to get gecko & homebrew. minby, can you hack my wii? I am really getting into this stuff and i am gonna give this PSA project ago. Im downloading the program and will research it further. I will post any good characters i make here and stuff. I also have some neat ideas that i hope i can pull off. how do you change the music with brawl+? Some helpful things for psa and texture hacking. not really PSA, but imagine this on a wifi battle. Imagine it with fox vs falco vs wolf. LANDMASTA'D. I personally dont care for those types of codes, cause i still like to play a semi-normal brawl, but to each his own.